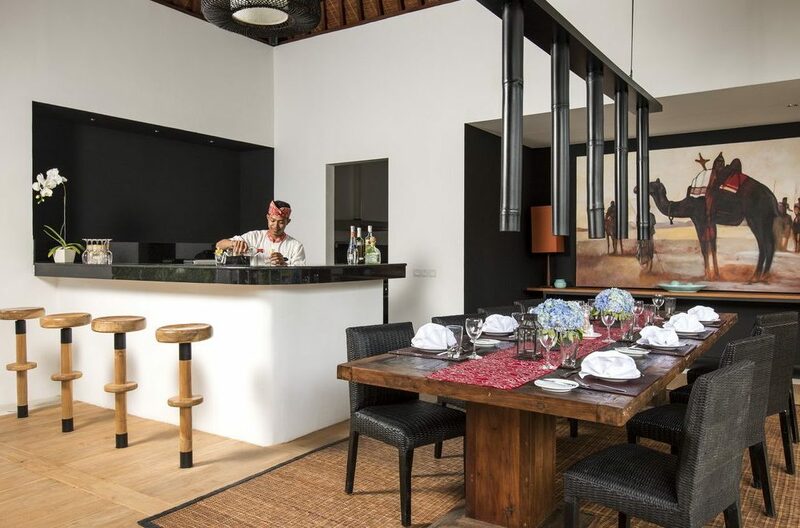 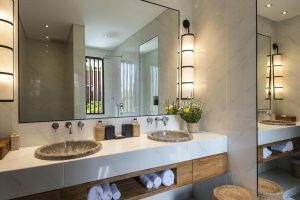 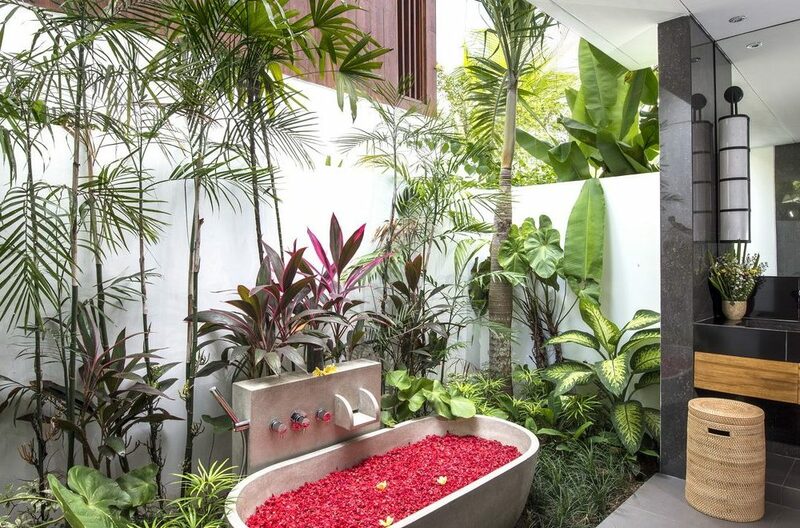 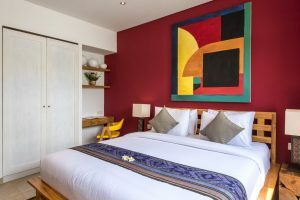 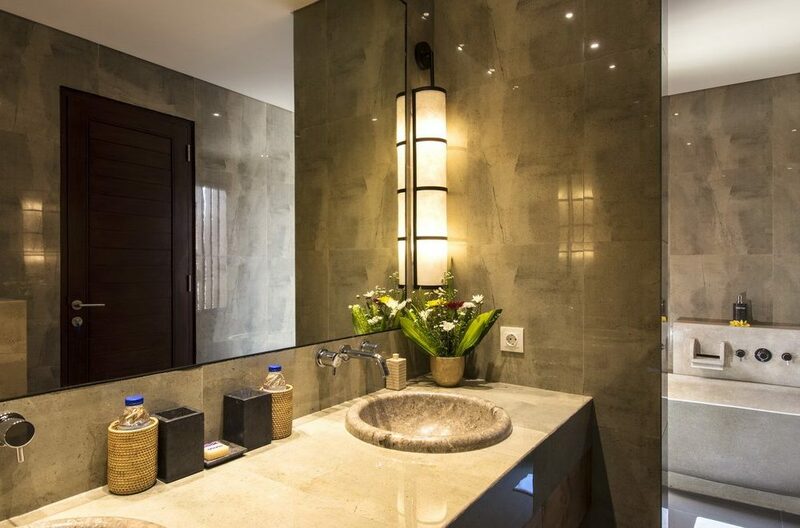 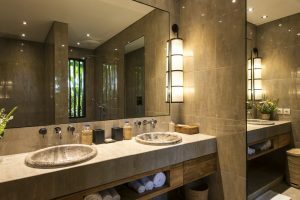 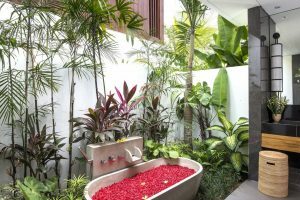 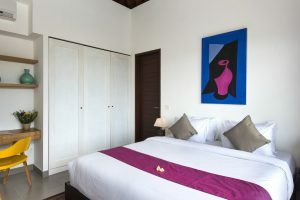 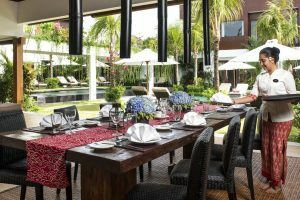 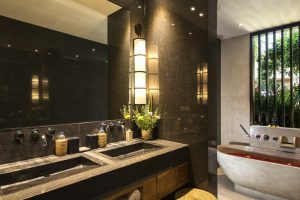 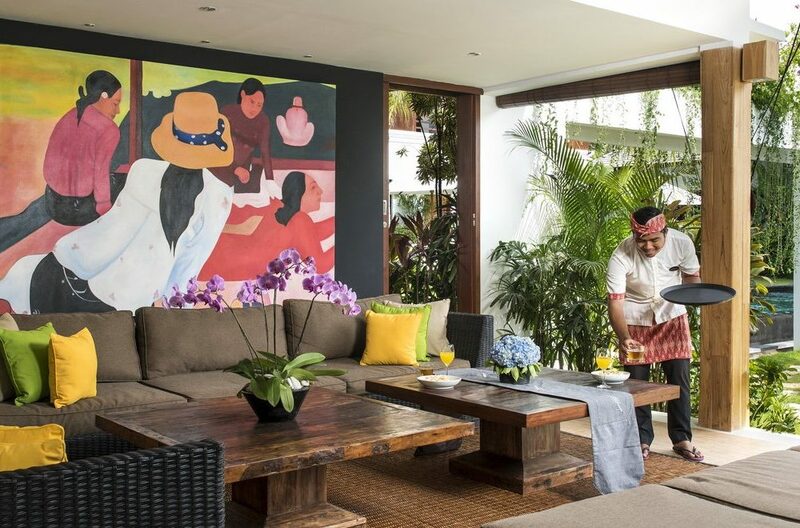 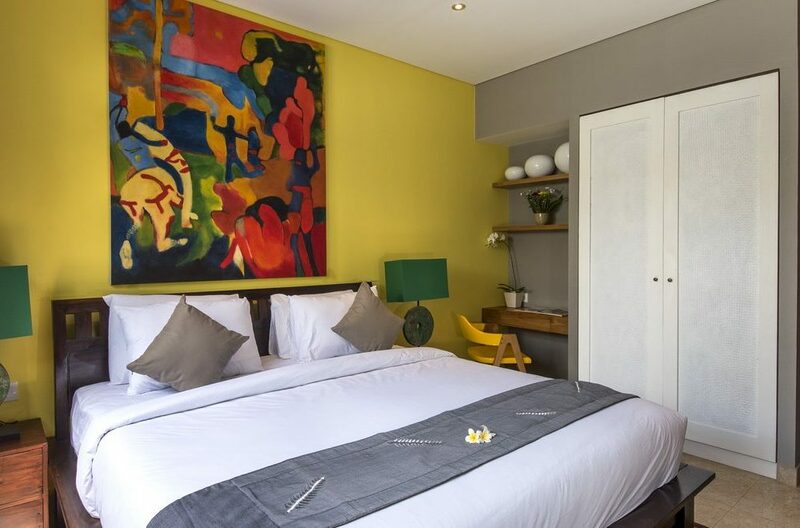 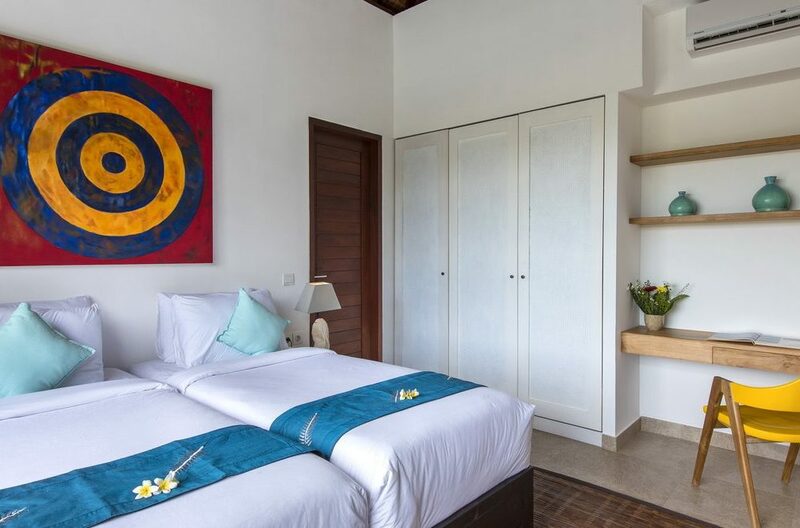 A combination of two villas, Villa Anam-Ba and Villa Anam-Bo, Villa Anam is contemporary, sprawling 10 bedroom Seminyak holiday villa rental in the heart of Seminyak, minutes away from Double Six Beach. Ideally meant for large groups of people, as it has ten bedrooms between the two villas, the villa is a great location private events like weddings, birthdays, and other get-togethers. 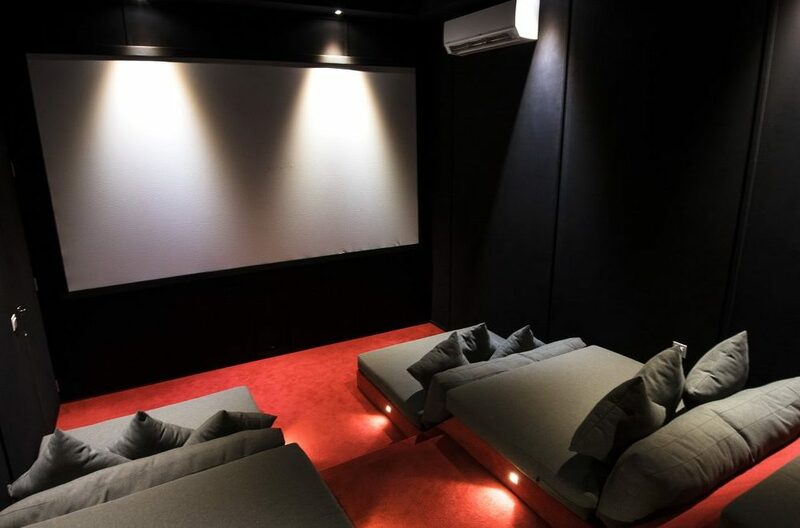 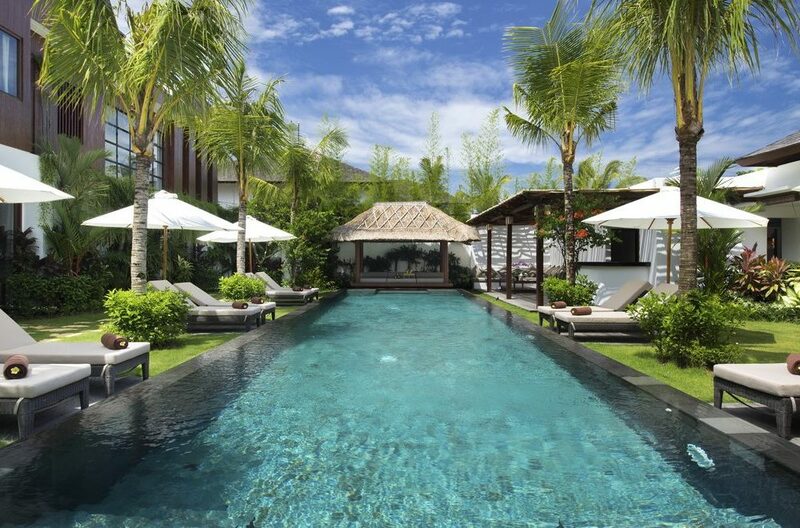 The gorgeous property features two swimming pools, two living pavilions and a home theatre for movie marathons. 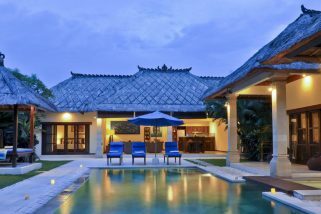 A complete holiday destination with your friends and family, Villa Anam is the best choice for you! 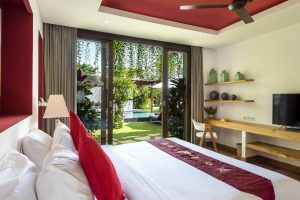 Forming a T-shape, the two swimming pools at Villa Anam are divided by a white archway that has abundant vegetation growing on the top creating a magical scene for guests swimming in the pools. Surrounded by lush greenery on all sides, the swimming pools are the ideal spots for spending time outdoors, as you can sunbathe on the loungers or nap in the gazebo which is fitted with daybeds. 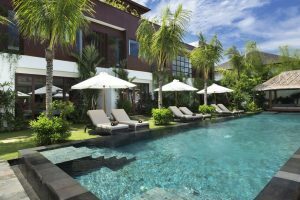 The stunning vista is complemented by the fresh breeze and the tropical sun that shines on the cool waters of the pools. 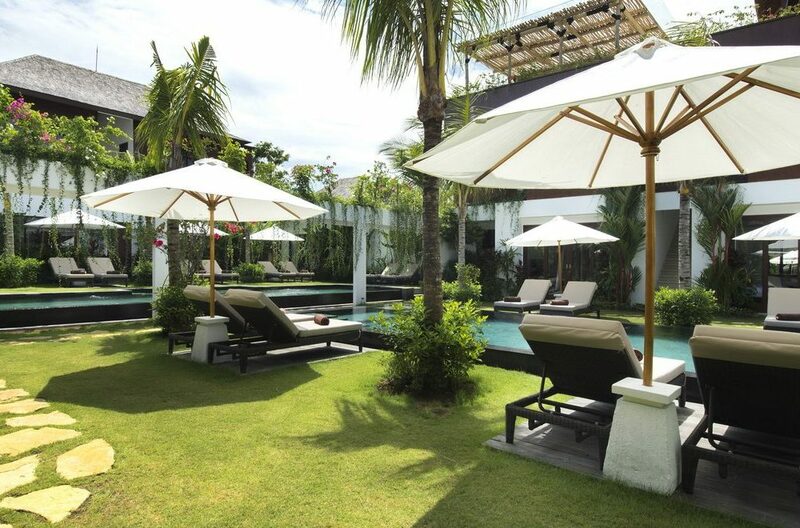 Well-manicured lawns are where you can walk on the freshly-cut grass and play with the kids! 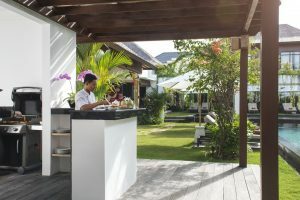 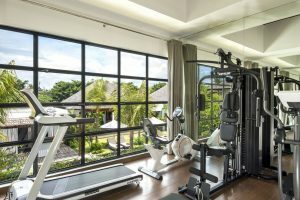 After a refreshing swim, you can lounge in the Jacuzzi or enjoy a personal BBQ service prepared by the chef or some chilled drinks from the poolside recreation area. 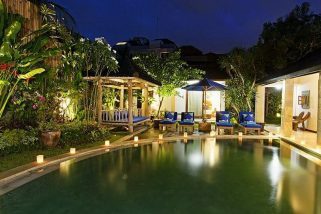 A rooftop lounge that offers a beautiful view of the pool and luscious greenery, is furnished with a cushioned ledge. 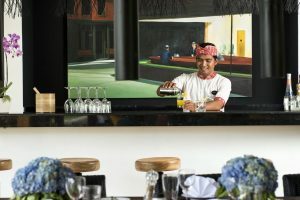 The villa is walking distance from Double Six beach as well as Oberoi’s renowned ‘eat-street’ which boasts of some great restaurants, cafes, and high-end shops. 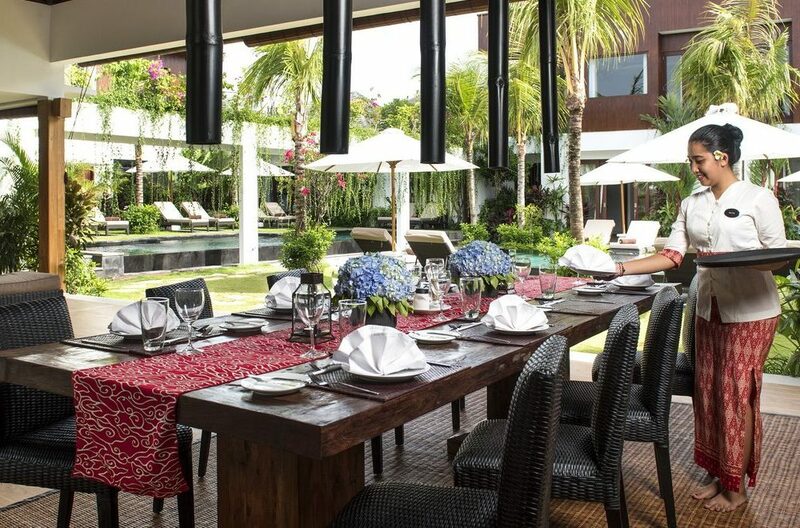 Some of the popular restaurants that you must try are La Lucciola, La Favela, and Mutiara. 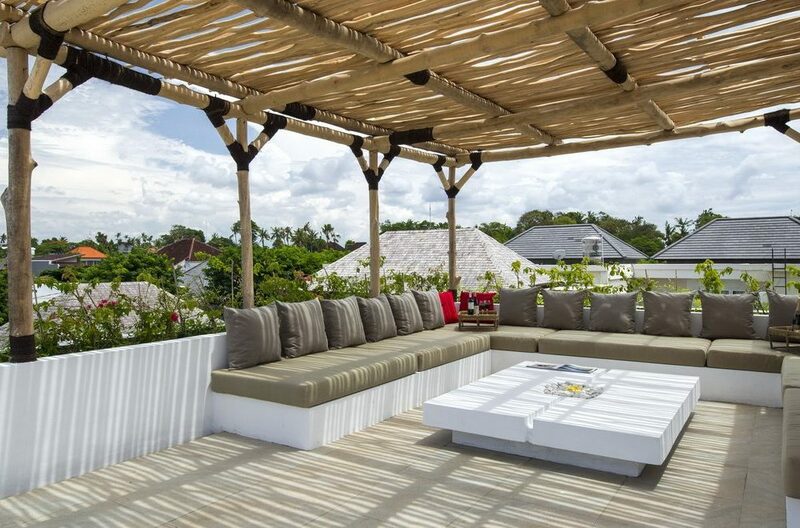 There are local shops that you can explore including some fun cafes! To view other Seminyak Villas or more Bali Villas please browse this website. 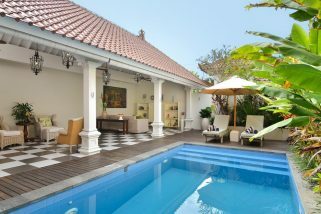 Villa Aveli is a gorgeous, five-bedroom private pool villa tucked away in one of Bali’s most coveted districts. 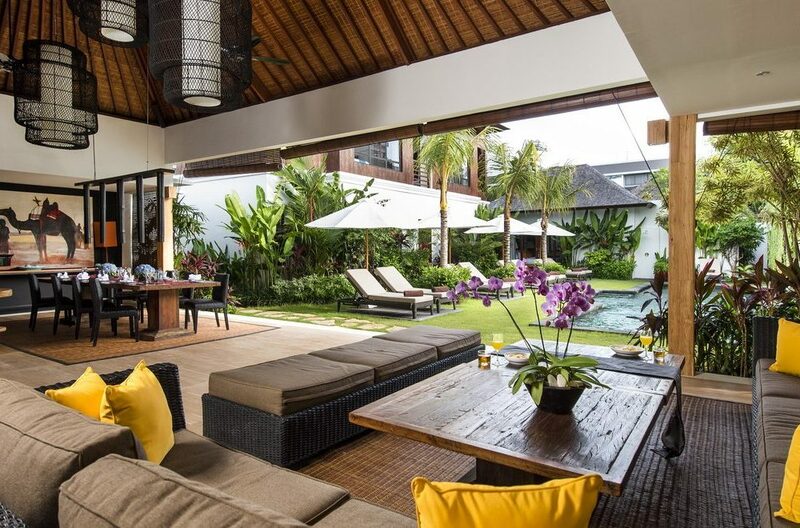 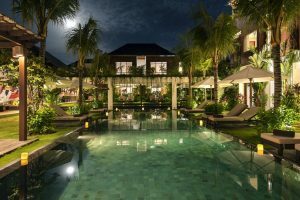 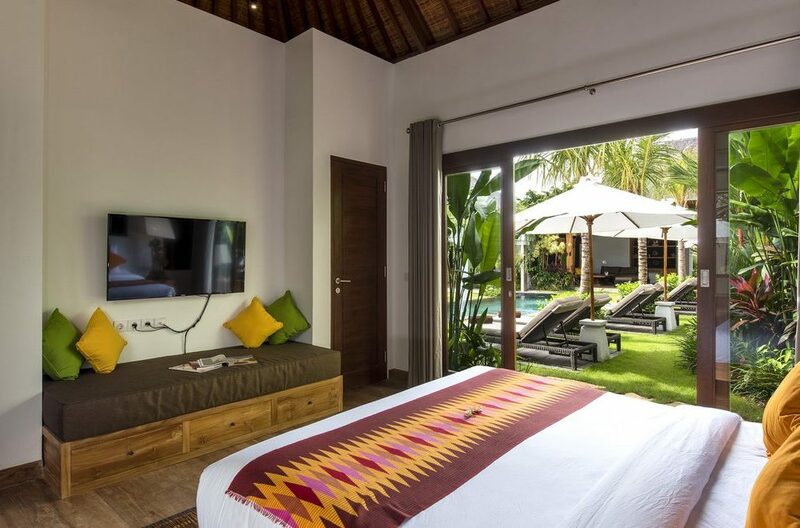 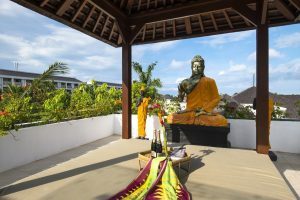 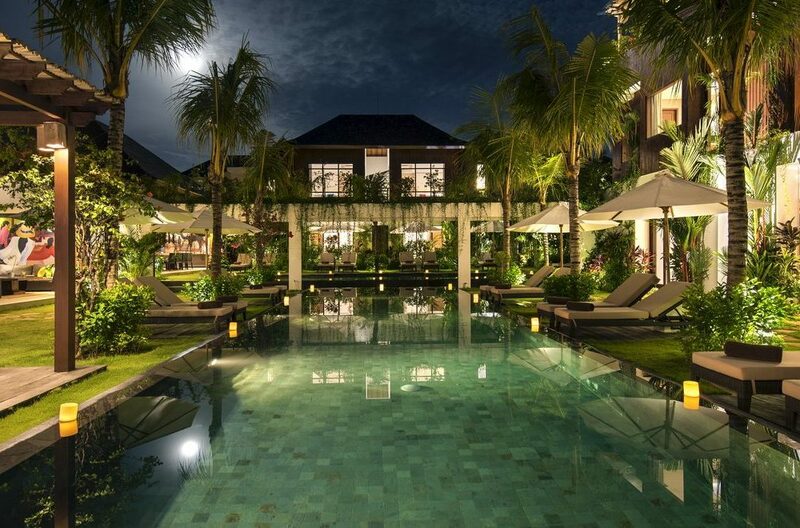 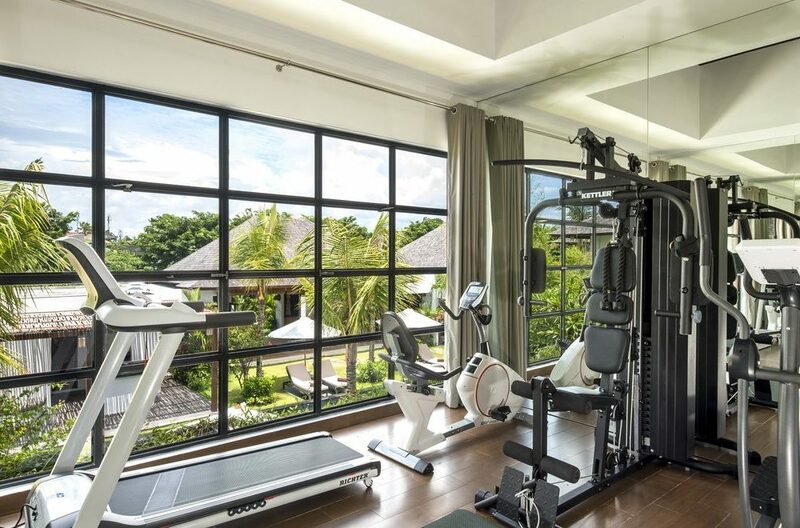 The villa is located right in the middle of Seminyak, meaning that you’ll have convenient access to the swankiest bars, clubs and restaurants that this beautiful Island has to offer. 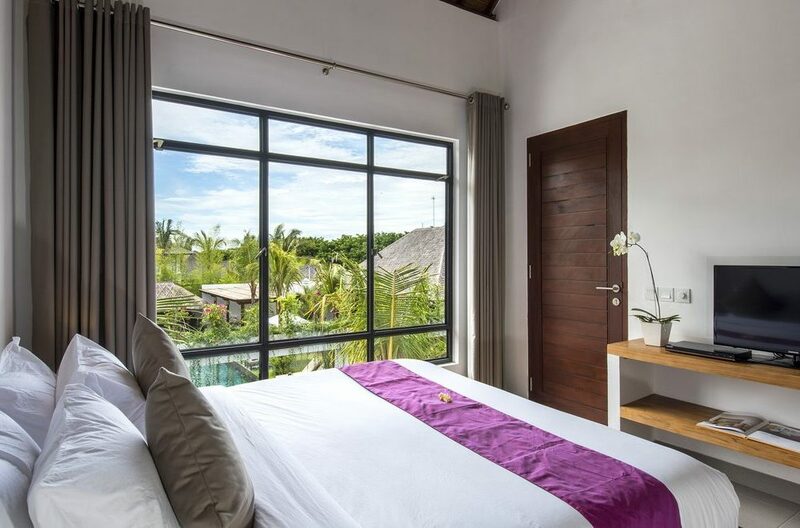 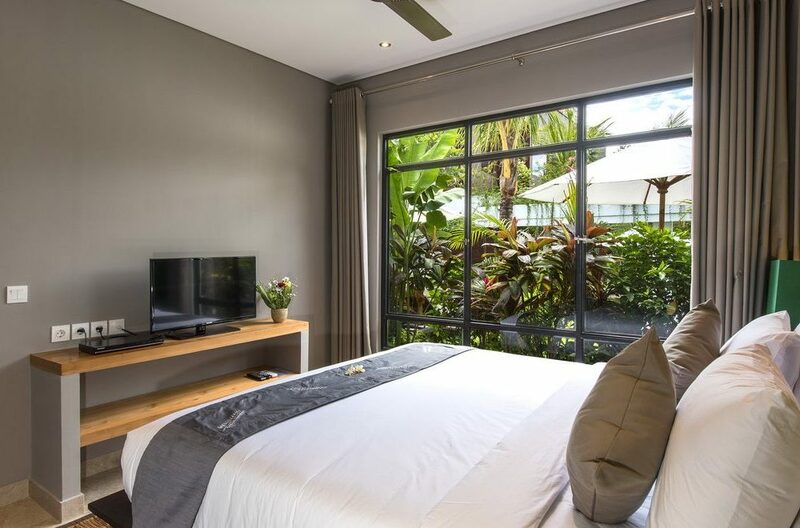 This is the ideal Seminyak holiday villa accommodation for a group of four friends or a small family looking to get away from it all, in beautiful Bali.